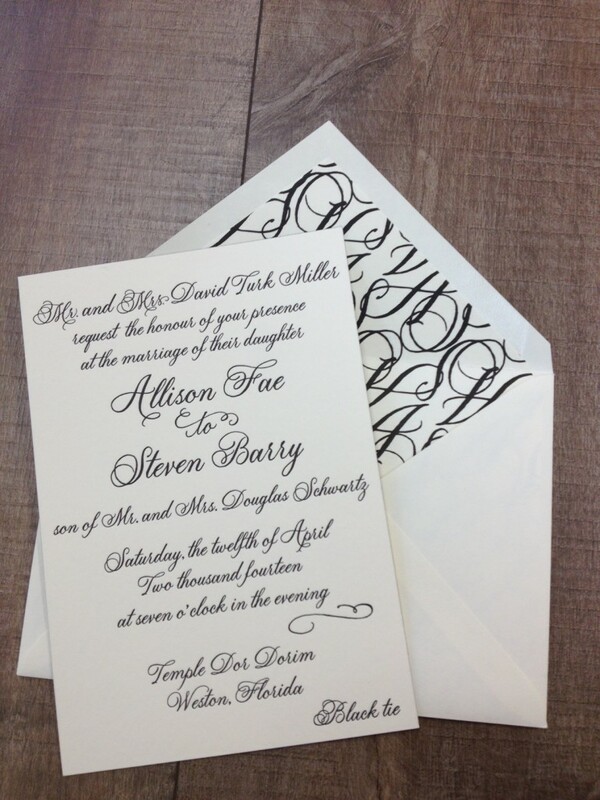 As always, it starts with the invite and we created one using letterpress with black painted edges and a custom designed liner with the bride and groom’s initials. 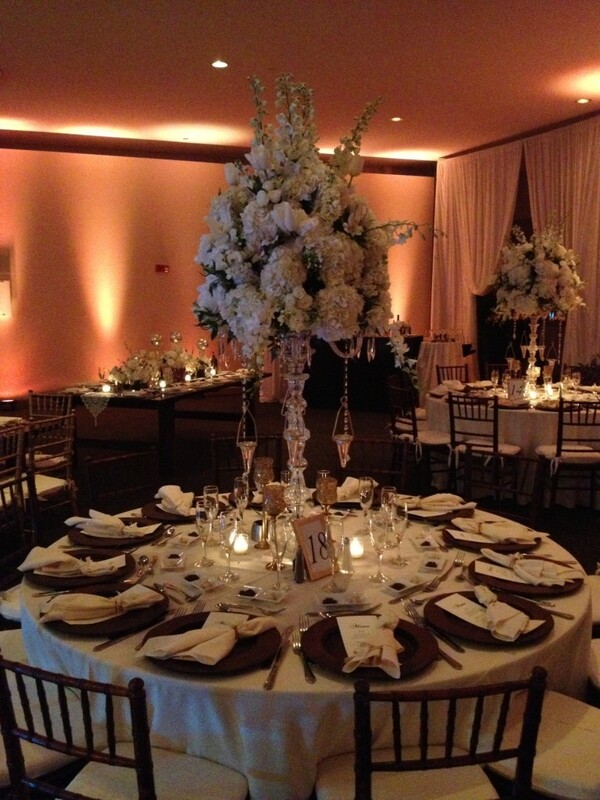 Floral played a major role to create the vision. 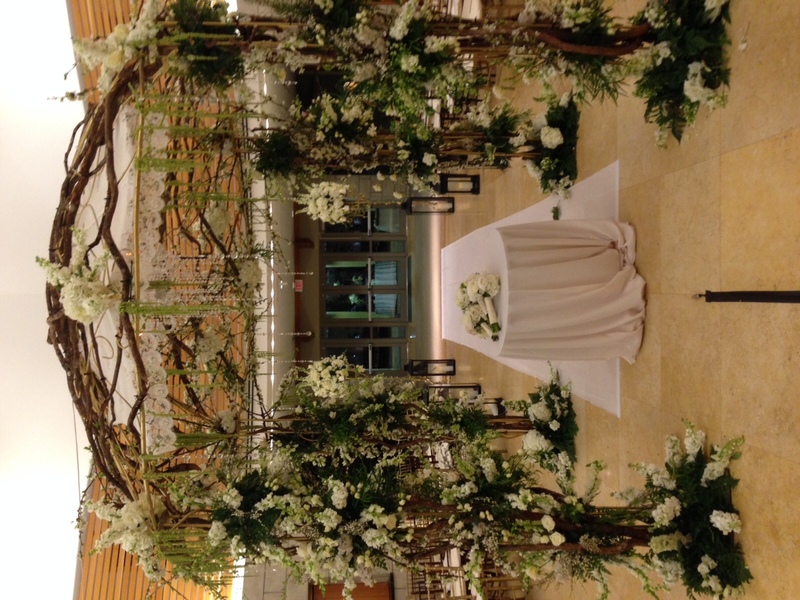 However, this bride insisted that there be no roses. 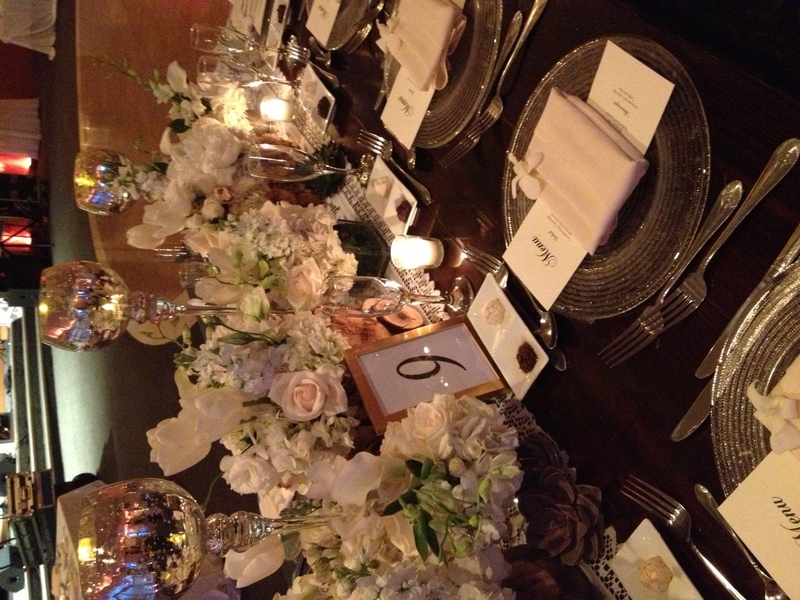 One may think that a wedding without roses is like a wedding without a bride and groom. 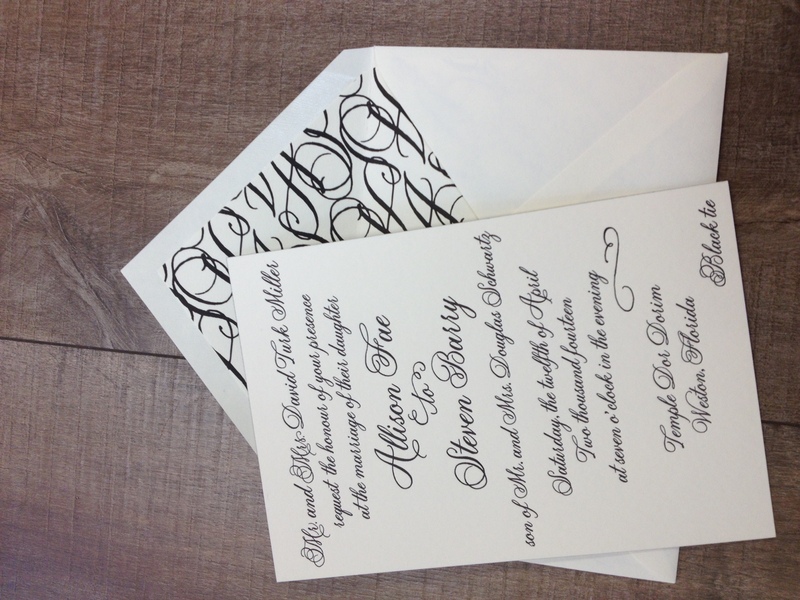 Well, this most definitely wasn’t the case. 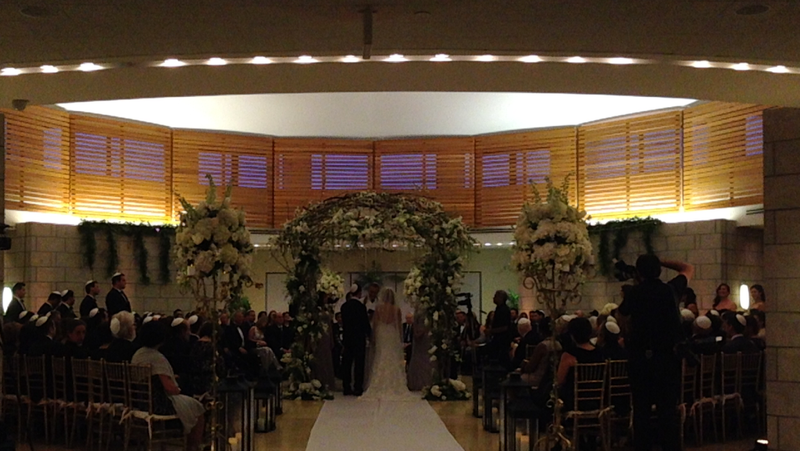 From the chuppah to the table settings, not one rose was used to create such a spectacular sight. 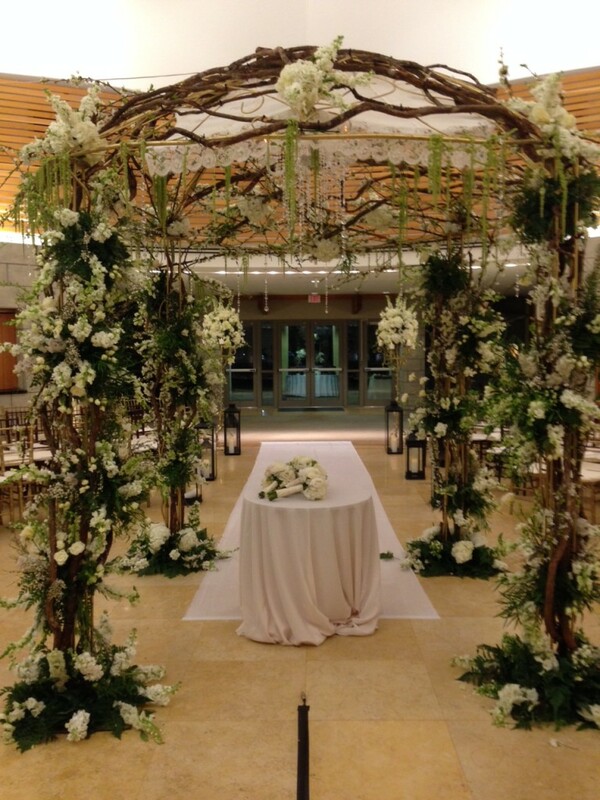 Daniel Events implemented our plan down to every little last detail using peonies, ranunculus, hydrangeas, calla lilies, french tulips, delphinium , lisianthus and plenty of greenery such as English ivy, moss and green amaranthus and …the grape vine chuppah, complete with a crystal chandelier, made this dream complete. 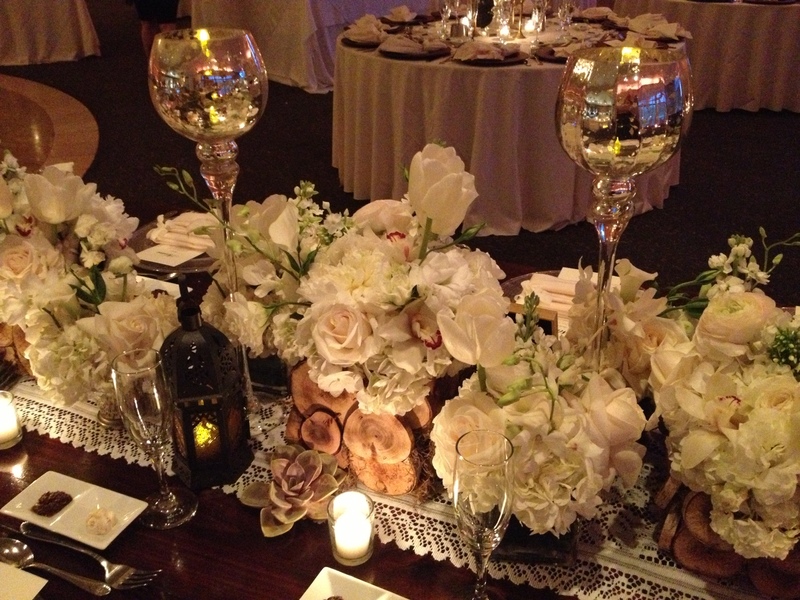 Instead of using all traditional round tables for dining, we changed it up with some farm tables utilizing various centerpieces mixing glass and crystal with wood and lace. 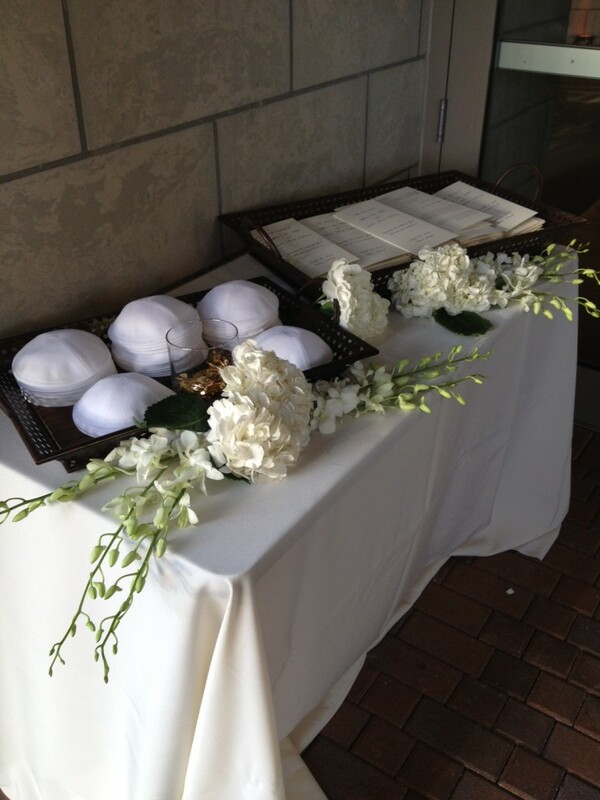 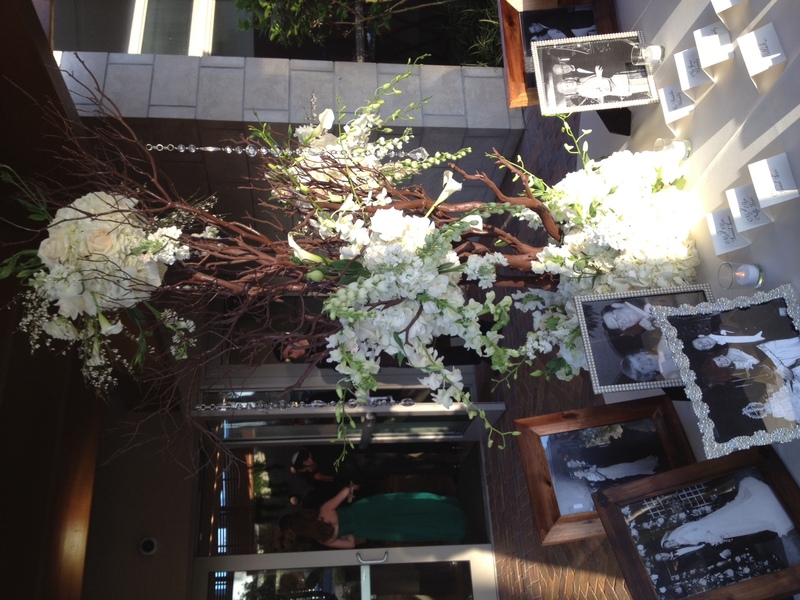 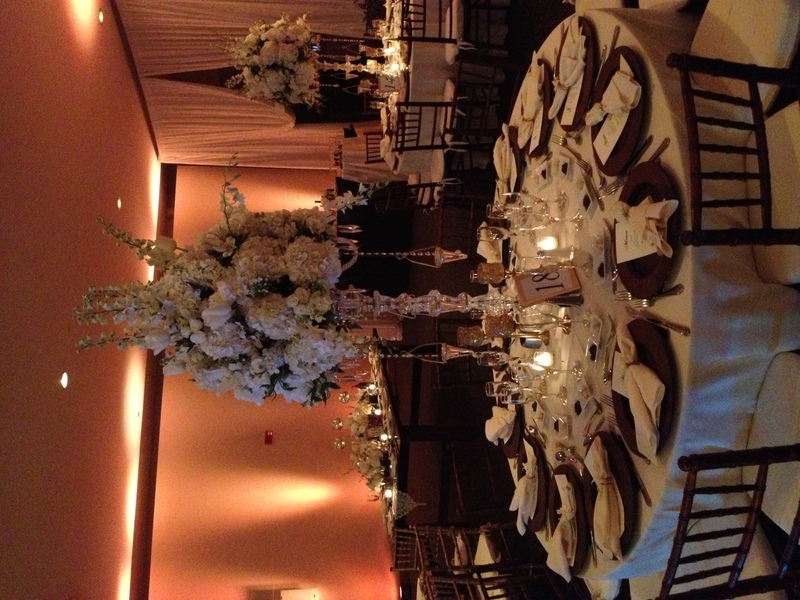 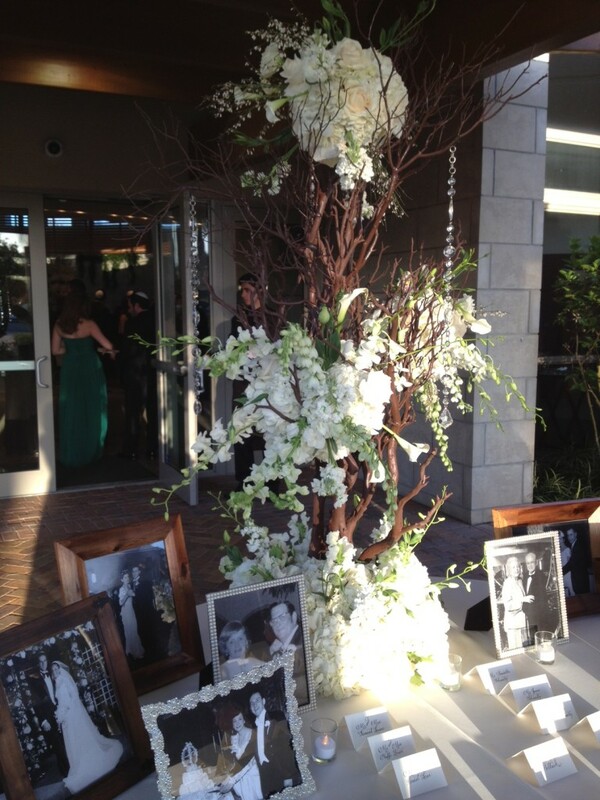 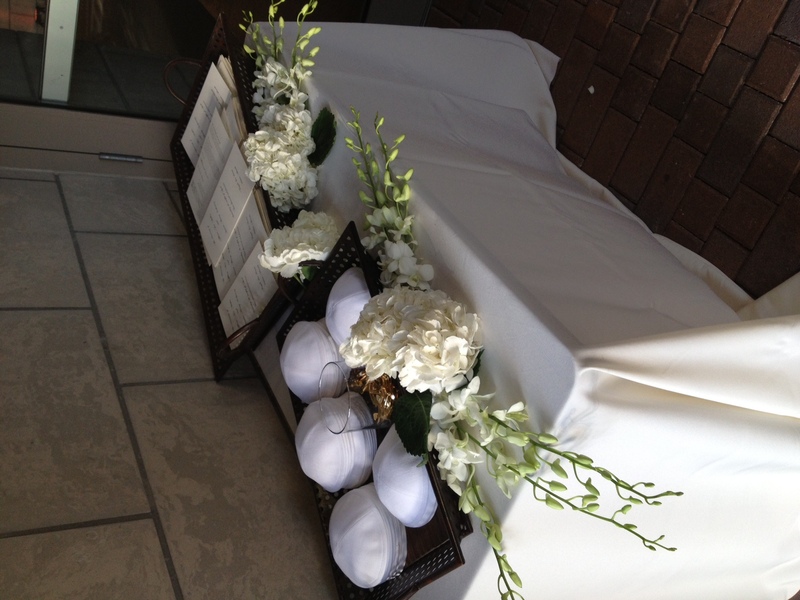 Other areas with more floral and vintage touches were the seating card and kippah/program entry tables. 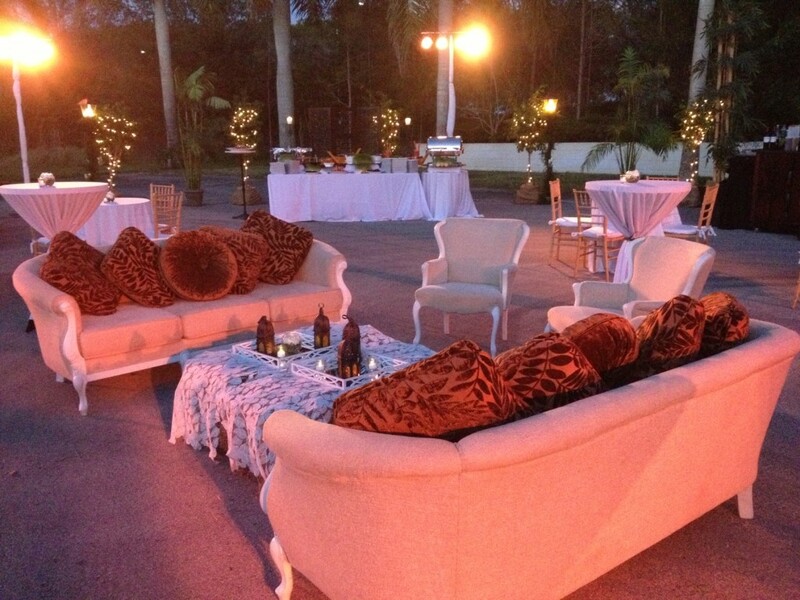 The bride’s vision also included a “never been done before” outdoor cocktail party under the stars before the reception at Temple Dor Dorim. 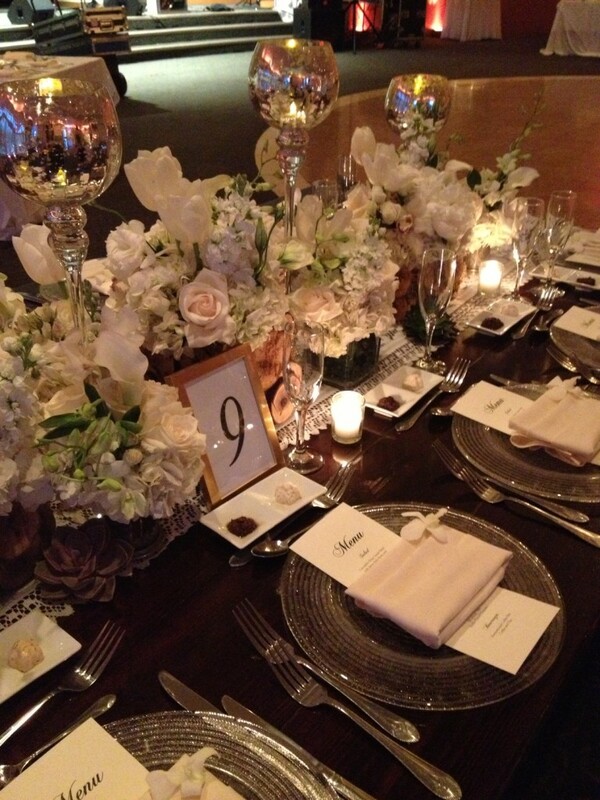 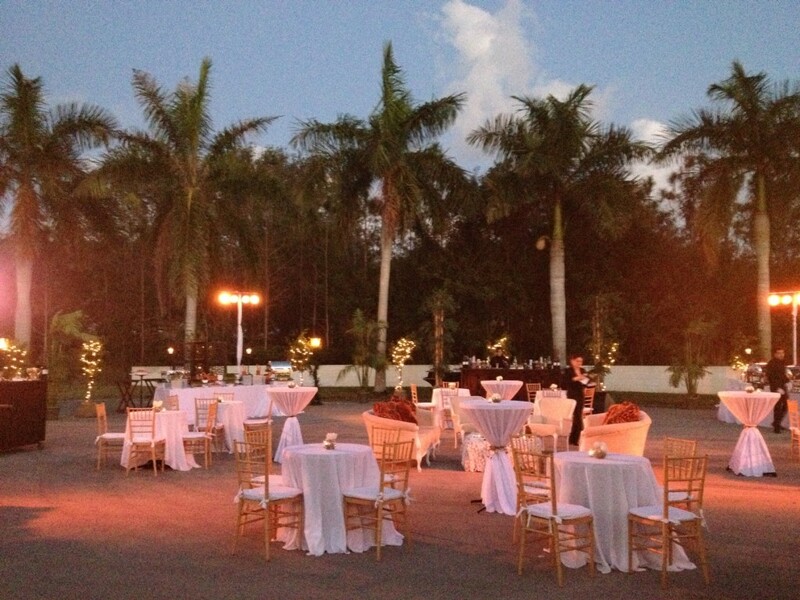 Thankfully, as planned, the night couldn’t be more perfect for this chic vintage garden wedding. 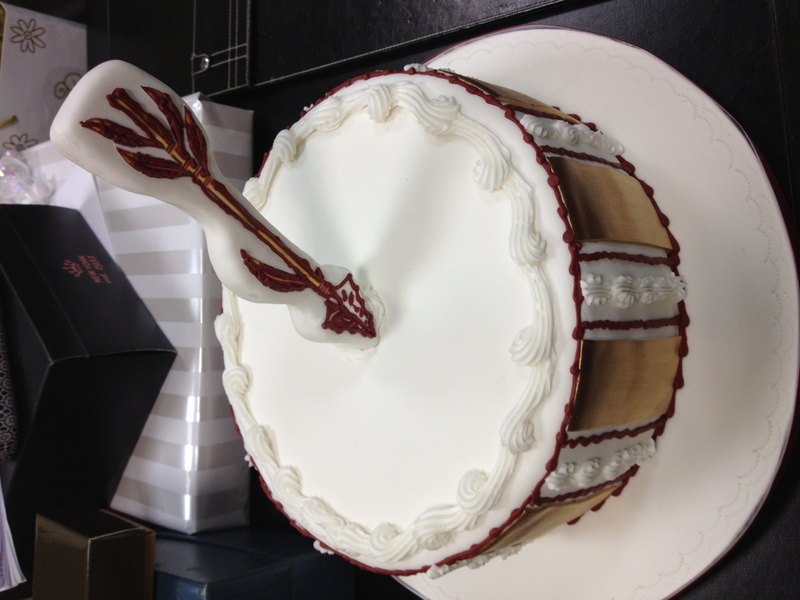 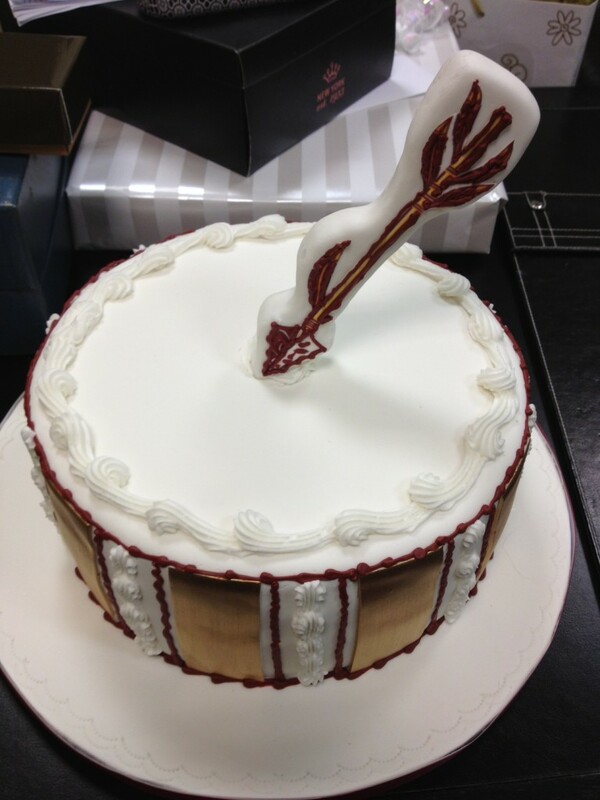 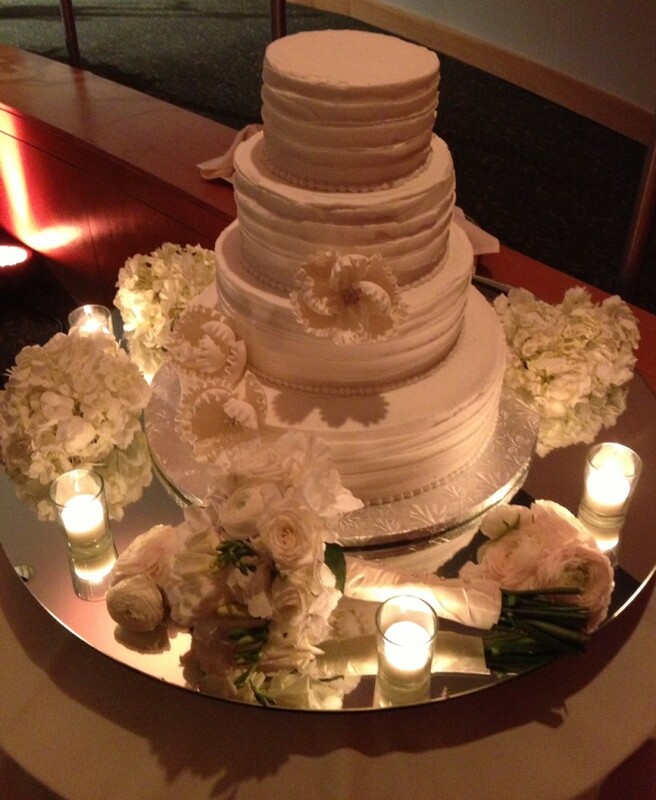 Of course, the delicious cake by Ana Paz Cakes reflected the theme, but the groom’s cake was made to be more fun. 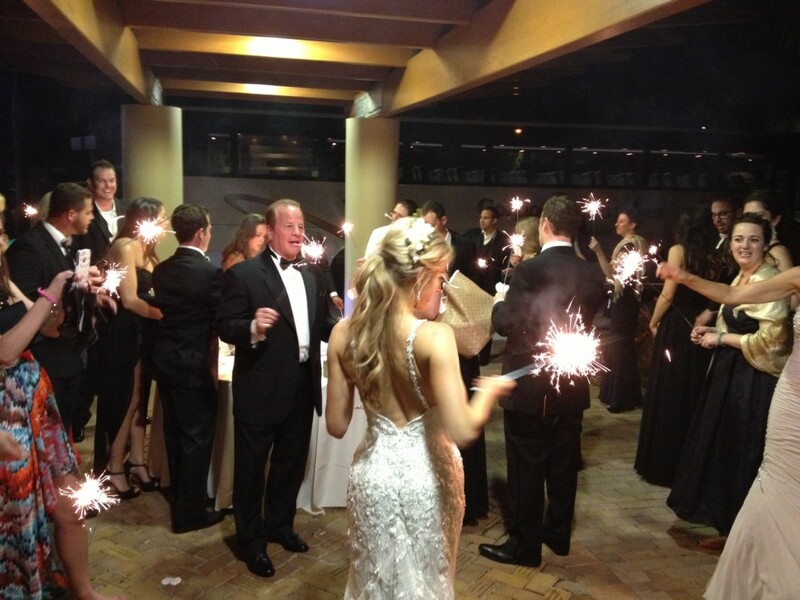 The grand finale was lighting sparklers as the bride and groom rode off into the night. 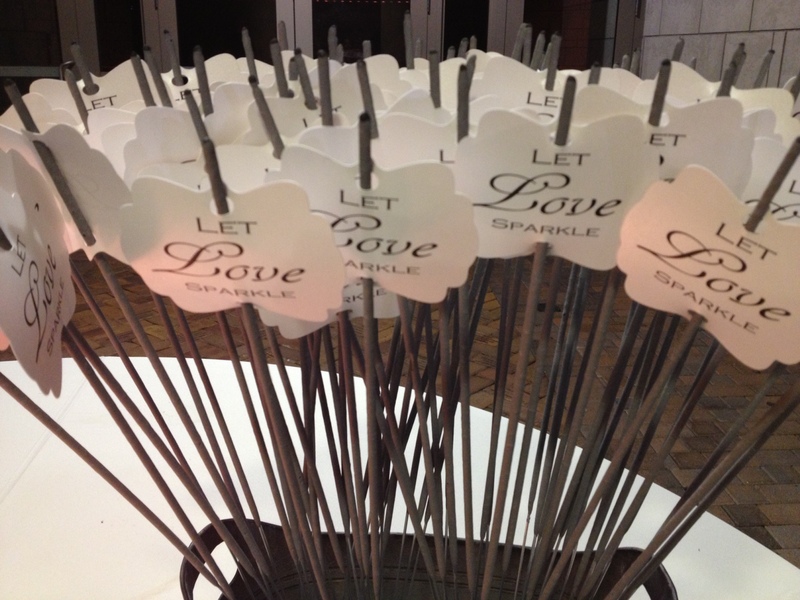 Love certainly sparkled at this Styled Event.